EU foreign minister asks strategic affairs minister to present evidence of his 'vague' claim that EU funds terror, BDS through NGOs. At the beginning of the month, EU Foreign Minister Federica Mogherini sent a sharp personal reply to Strategic Affairs Minister Gilad Erdan, asking him to present evidence of his "vague" and "baseless" claims that the EU is financing terrorist activities and boycotting Israel through NGOs. In the letter, obtained by Haaretz, Mogherini referred to a report published by Erdan's office in May. In a letter sent at the time by Erdan to Mogherini with the report, Erdan wrote, "An in-depth study conducted by my office reveals that in 2016 the EU financed 14 European and Palestinian associations that blatantly and clearly advance BDS." 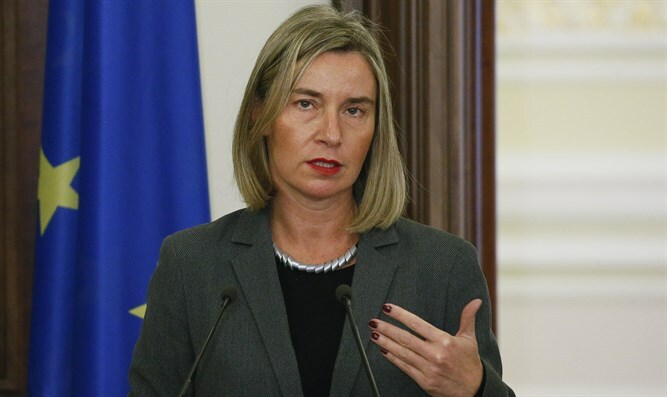 In a letter to Erdan's office, Mogherini wrote that "accusations of EU support for incitement or terrorism are baseless and unacceptable. The name of the report itself is inappropriate and misleading. It mixes terrorism with the issue of boycott and creates unacceptable confusion in the eyes of the public regarding these two distinct phenomena." “Mogherini admits that most of the supported organizations appearing in the report do indeed promote a boycott against Israel, but explains why it is okay to support them."